Latino Educational Training Institute y Las Americas Business Center ofrecen entrenamientos bilingües para obtener su certificación de OSHA-10 gratis! 10 horas de entrenamiento en solo dos días! Our educational services are offered cooperatively with Latino Educational Training Institute (LETI), a non-profit organization working with local schools and colleges as well as other non-profits to facilitate learning by Latino students and families. Our contribution is principally in the form of space and logistical support. In recent years LETI's emphasis has been on financial literacy and youth leadership. 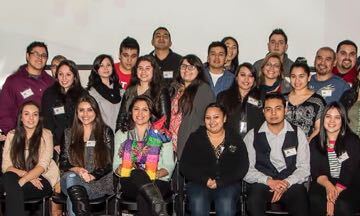 Our Latino Leadership Institute -- founded in 2013 -- offers a six month curriculum leading to a certificate in cooperation with regional community colleges from Olympia to the Canadian border. Occupational Safety & Health. In 2016-17 LETI offered a special program in cooperation with WA State Labor & Industries department in English and Spanish on occupational safety and health. GED in Spanish. Since 2011 LETI has also sponsored a very successful GED program in cooperation with Edmonds Community College. Facilities. Our training facility seating approximately 20 is available for use by local educational organizations and schools. Courses have also been offered at local community colleges, schools and churches.